Note: The Punkin Chunkin event WILL NOT be shown on TV this year due to an accident! Punkin Chunkin (Not Pumpkin Chuckin) began because a few guys were a bit bored. But, they were also getting a bit old. To pass the time, they used to toss anvils. However, those were getting a bit hard as these guys began hitting their 30's. And, they didn't come up with the idea in a bar, as many think. They talked about it at John Ellsworth's blacksmith shop. There was also Don Pepper (Plumber), Trey Melson [Died in 2004] (Well-digging contractor) and Bill Thompson (Contractor). So, way back in October of 1986 a few weeks before Halloween, they came up with the idea of tossing pumpkins. Only they'd have machines do it because it was easier than them doing it. 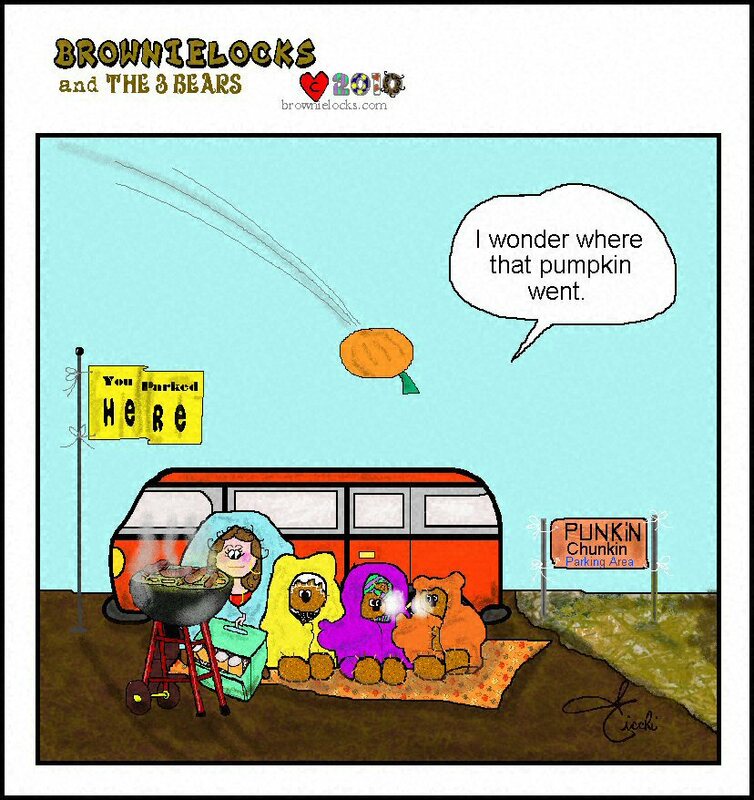 And, they had four basic rules: (1) Pumpkins had to weigh between 8-10 lbs. (2) Pumpkins had to leave the machine whole and not in pieces. (3) The machines could not cross the starting line. (4) No explosives at all! So, the first Saturday after Halloween in 1986 was November 1. The four guys and another friend named Larry McLaughlin (A city employee of Lewes, DE) all met out in a field along with 40 people or more. The only refreshments at that time were a few bottles of Boones Strawberry Hill wine. The machines were very crude and at that time the guys really didn't know what they were doing. Melson and Thompson were one team, with a machine that had a huge wooden bow and was powered by springs. Brothers, Chuck and Darryl Burton's machine was more like a catapult and became team two. John Ellsworth and Don Pepper made up team 3 which was a giant slingshot per se. It was a large rubber cord between poles in the ground. So who won? Team One won. Melson and Thompson tossed 178 feet to become the first Pumpkin Chunkin winners! By the following year, the guys had gotten some newspaper publicity as well as word-of-mouth for the next challenge in Thompson's field on November 5, 1987. This time they had 8 machines compete and around 200 attendees. It was a momentous year because this is when they became official and offered prizes for 1st, 2nd, and 3rd place. These were baseball hats with "Pumpkin Toss '87" embroidered on them. This is also when they first began to name their machines! Which also became the team's name. The names vary from being puns on the competition itself, such as "Chunkin Under the Influence," "Chunk-n-ology," "Sir Chunk-A-Lot," and "Launch-ness Monster." Other names imply the type of machine or strategy such as, "Litte Big Gun," "Please Release Me," "United Flingdom," and "Fibonacci." And other names are just fun and silly such as "Feats Don't Fail Me," "Cinderella's Revenge," "Bad Hair Day," " Y Ask Y," and "Red Neck Dream." Back then, Trey Melson and Bill Thompson named their centrifugal machine, "Maximum Overdrive." John Ellsworth and Don Pepper redid their slingshot machine so that it was a spring-powered machine by the name of "Heavy Metal." The Burton Brothers (Chuck and Darryl) had a catapult design that they named "Notorious Burton Brothers." Larry McLaughlin also built a catapult, which he named "Larry's Toy." The oldest member of the group was Harry Lackhove, a retired school teacher who was 25+ years older than the other guys. He built a slingshot machine that he named "Mello Yello." Leon Fisher's machine was a sewer pipe that was painted red, white and blue and resembled a cannon. He called it "Big Jack." The two other competitors that year were "Penuel's Pitcher" and "Moose Gooser." Little information is known about those two machines. The joke of the day was Leon Fisher's "Big Jack." It may have looked like a cannon, but in reality it was simply a pipe with a lid. When it opened, an orange balloon floated out to give the impression it was a slowly, meandering pumpkin going down the field. The winner that year was "Maximum Overdrive" with a 496-foot toss. "Heavy Metal" was 2nd with 197 or 210 feet (unclear). And, third place went to "Larry's Toy" with 156 feet. At the third Pumpkin Chunkin on November 5, 1988, Trey Melson's "Maximum Overdrive" was now turbo! But, so were most of the others. And, the crowd grew also to around 500 spectators. They had 6 machines compete. But, no one won. Why not? Because they all tossed their pumpkins into the woods and so they declared that they were all winners! The title of "World Champion" didn't get established until the November 4, 1989 Chunk out at Eagle Crest Airport. This was also the first time the "Punkin Chunkin Ballad" was performed, which Bill Thompson wrote 3 years earlier after the first Chunk. It was sung by Bill's fiancé, Dawn Deschaine, who added the music. (She's now Mrs. Thompson btw.) Both the Punkin Chunkin Ballad and Dawn have been a tradition every since. This was also the year the term "Pie in the Sky" started. 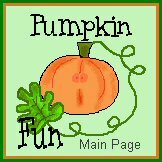 The term is used by Chunkers to describe a pumpkin that is totally blasted apart in mid-air and made into mush due to the forces needed to launch it. Any pumpkin that is disintegrated before it hits the ground doesn't count btw. This Chunk had about 1,000 people come to it. It also now offered pig roast, hot dogs and chili to the public. However, the Chunkers still had no sponsor and were seeking a bit more organization as this became more and more popular. In 1991, women became part of The Chunk! Jane Thompson, Lynn Jones, Diane Zigman, Margie Brenneman and Leslie Mills all got together and decided that it was time that the woman had some fun. So, they created a catapult machine called PMS (Punkin Machine Slayers.) The PMS team all wore pink, even the hardhats! Another all-women team wasn't to come until 1998. Their machine was an air cannon named "Bad Hair Day." Then in 2004, another all-women air cannon machine entered named "Let's Bounce." And, in 2005 a third women's team entered named "Dragon Lady." Since the rules state that you have to have a minimum of 3 teams to make a division, the women now had 3 teams and so in 2007 the Chunk had it's first women's class. This was also the year that they added a Youth Division. So, Chunk organizers issued a challenge to schools, college engineering departments, etc. to compete. The first in the Youth Division was a physics class from Model Secondary School for the Deaf at Gallaudet University in Washington, D.C. They called their entry the "Lean Green Catapulting Machine;" and, it tossed a pumpkin 91 feet. Each year, more schools entered. Then, Boy Scout, Girl Scout and Brownie troops from all over entered too. The educational as well as charitable aspect of the event blended to be the foundation for the Punkin Chunkin Association's scholarships to science and engineering students. The seventh Chunk was on November 2, 1992 and was the first time they began to charge attendees and competitors. The fee was $2 a car and $1 per motorcycle. Teams who entered paid $10. And, The Chunk finally had an official sponsor: The Lewes Chamber of Commerce. In 1993, John Ellsworth and Don Pepper entered an air-powered crossbow machine called "Preservation Forge Under Pressure" giving them not only the world championship. But, also tossing the longest chunk (so far) of 1024 feet. By 1994, with all the national media attention, The Chunk grew in popularity. But, for the competitors, the fun seemed to be declining. On September 24, 1994 162 Chunkers who represented 10 teams sent a letter to the Lewes Chamber of Commerce threatening to strike if their list of concerns wasn't met. They had till November 5, the day of the 9th Punkin Chunkin event. They called their group the United Pumpkin Chunkers Local 69, with Larry McLaughlin as President. It was the beginning of establishing the Punkin Chunkin as a charity event. It also established no entry fees for past participants, set up competitors according to different machine types, more portable toilets and a nice trophy. Boy Scout Troop #2540 was the first recipient of the Chunk's charity donation as a thank-you for all their help in setting up and helping to run the show. The event was becoming so popular that by the tenth year, it was now a two-day event. They also separated the air cannons from the other machines. And, the Roadhouse Steak Joint on Rte. 1 became the Chunk's first official sponsor. They also got a much better trophy. The trophy (shown on left) is wooden and made by fellow-chunker and chain-saw carver, Danny Beach. World Punkin Chunkin Championships until 2010. "Big 10 Inch" had been the team that chunked the farthest in 2009 and so it kept the trophy in its possession until next year's chunk. But, during the year, it apparently somehow fell off a truck and broke. trophy to the Chunk's 25th Anniversary Chunk in 2010. Photo was taken by Delaware Digital Photo Factory. They retain all image rights. It wasn't until the 1998 Chunk that the World Championship Punkin Chunkin Association (WCPCA) didn't officially become certified as a non-profit organization. They have given more than $70,000 in scholarships and to community organizations (mostly for kids). Each year, the Association gives thousands of dollars to St. Jude's Children's Hospital. How the money is given is done by a vote. Also, the top three finishers in each division get to nominate their favorite charities that receive donations based on the distances those team's pumpkins chunked. The chunkers do not win any money. In the past, one of the sponsors offered $10,000 in prize money to be divided among all the divisions; but, the board and trustees voted "no." In 2001, the Chunk now becomes a 3-day event. The Charlie Daniels Band is the first big country music act to play at the Punkin Chunkin in 2005. Since then, other performers have entertained the crowds on Friday night, the first night of the Chunk. The November 5-7, 2010 Chunk was its 25th Anniversary. Adam Savage and Jamie Hynemanm, the hosts of the Discovery Channel's TV show, "Mythbusters" attended and hosted a special presentation on punkin chunkin shown on Thanksgiving evening (November 25) at 8:00 pm. It was also at this special chunk that The Discovery Channel presented the event with its new trophy, since the other one had literally fallen apart after all these years. But, another momentous event at the Anniversary Chunk was that for the first time ever, the champion chunker was a woman! Dawn Thompson (who also sings the Punkin Chunkin anthem every year) entered her machine called "Hormone Blaster" which tossed a pumpkin a grand total of 3,755.65 feet to become the longest toss of the competition. Dawn now gets bragging rights and one year's possession on the new trophy until the 2011 Chunk. Dawn also out-tossed fellow competitor and her husband, Bill Thompson! 1. Chucky III (Adult Torsion) tossed 3,636.39 ft.
2. Yankee Siege II (Adult Trebuchet) tossed 2,326.60 ft.
3. The Plague (Youth Catapult) tossed 1,568.82 ft.
4. Stomach Virus (Youth Trebuchet) tossed 1,143.74 ft.
5. Sister Slinger (Youth Human Powered ) tossed 940.31 ft. The Chunk also had a serious accident. One of the spotters, Daniel Fair, flipped his ATV over and suffered a spinal injury. This resulted in a lawsuit filed against the farm owner where the Chunk is held, as well as the Punkin Chunkin Association for $4.5 million in damages. Mr. Fair had trouble walking after the accident and also lost his job. As a result, Wheatley Farms' owner said that the Chunk could no longer be held there. This is the reason that the event was cancelled as it adjusted to the move to its new location at the Dover Speedway. Due to Hurricane Sandy, the Friday activities were cancelled. The field was too full of water and needed an extra day to dry out. Also many of the port-a-potties were tossed about and needed to be reset up. So, the Chunk was held only on Saturday and Sunday (November 3-4) this year. It was a very windy day. A lot of the contestants blamed the wind on their results. No records were broken this year. Was it wind or machine? Trebuchet Division: In the defending champion Yankee Siege II's final toss, the spotters could not find their pumpkin. So, they had a chance to toss again. Unfortunately, this was a poor shot resulting in the loss of their #1 title to Team Nasaw. No one will know if their lost pumpkin could have made them retain their title or not. Only the wind knows! In 2011, one of the volunteers was injured in an ATV accident and sued The Chunk for $5.5 million. This lawsuit is still pending. As a result, liability costs and insurance rate increases for festival events rose. Besides a rise in insurance liability costs, other costs rose in 2013 too i.e.... state police, state transportation department, local fire services and even help by state prisoners. This made the organizers consider moving the event out of state. However, despite all of these problems, many feel that The Chunk should stay exactly where it all began, in Bridgeville, Delaware. And, so it is! The 2013 event also had some world records set. 1. Bad to The Bone (Adult Centrifugal) tossed 3,245 ft.
2. American Chunker (Adult Air Canon) tossed 4,694 ft.
3. Yankee Siege (Adult Trebuchet) tossed 2,835 ft.
4. Colossal Thunder (Youth 11-17 Trebuchet) tossed 2,402 ft.
5. Stomach Virus (Youth Human Powered) tossed 1,230.12 ft.
6. Shooda Noed Better (Adult Human Power) tossed 2048 ft. This 2013 also was the most romantic Chunk of all. Why? Because it had the first public wedding proposal by a member of the team called Smokin'. The Chunk was cancelled in 2014, due to all the prep work for moving to Dover. The next Chunk is now scheduled for November 6-8, 2015. The Chunk's president resigns! Lots of craziness going on. See Article. The lawsuit filed by David Fair against Wheatley Farms and The Punkin Chunkin Association back in 2011, was settled out of court. David Fair had flipped his ATV over while being a volunteer spotter at the 2011 Chunk, resulting in a spinal injury. This resulted in Wheatley Farms saying the Chunk could no longer be held on his property. It was suppose to be held on November 6-8, 2015 at the Dover Speedway. But, it was cancelled due to insurance problems. After a two-year hiatus, Punkin Chunkin returned in 2016 back to Bridgeville, DE. Unfortunately, on the second day, there was am accident. Team Pumpkin Reaper's air cannon had a metal plate blow off when it made its shot and struck a 39 year old TV producer in the head and face. The Delaware State Police have not released her name. But, she has been hospitalized for two weeks now (as of the date I type this). A second person suffered non-life threatening injuries as well. Authorities immediately cancelled the rest of the events. As a result, the Science Channel has cancelled its TV presentation that was sheduled to air on Saturday, November 26. There is no listing for 2016 Chunk winners on the Association's website for the teams that did compete before the accident occured that I could find. Therefore, I am assuming the 2016 Punkin Chunkin event is null and void for all teams regardless if they got to toss or not. Ms. Suzanne Dakessian, a Sharp Entertainment's employee, was involved in an unfortunate accident last year. There is now pending lawsuits against the Punkin' Chunkin' Association, it's officers, and the landowner where the Chunk happens. The landowner is not reluctant to host the Chunk in 2017. And, with only a couple of months before it was suppose to take place, there is no time to find a new location. So they cancelled the Chunk and are sending out refunds. Every year the Punkin Chunkin event is on television. It's on The Science Channel or The Discovery Channel, usually primetime (8:00 pm) on Thanksgiving night. But, the Chunkers have also appeared on television such as David Letterman, Good Morning America, CNN, NBC's Dateline, etc. Punkin Chunkin is also popular overseas. Britain had a show called "Scrapheap Challenge" and sent a machine across the pond to compete in the 2005 Chunk. In 2000, fellow Chunker Bill Thompson appeared on the British TV show, "Junkyard Wars" as a consultant for their show titled "Ballistic Missiles" which teams had to compete by building machines that tossed pumpkins. Each morning of the competition, there is a mandatory safety meeting. And, there is zero tolerance for any team that does not comply with the safety rules. Some of those rules forbid the use of PVC pipe for cannon barrels. And, all machines have fire extinguishers and first aid kits. Everyone in the pit must wear eye protection and a hard hat. And, that all machines that could possibly fire backwards have a backstop. Due to an accident in 2007, the Association spent $20,000 to string 30-foot high, half-mile long safety netting at the 2008 Chunk. This is the safety fence that all spectators have to stand behind. You are not allowed to be close to the machines at all! This is a view of some of the crowd. On the left you can see the safety netting that is strung behind the trebuchets, catapults, etc. The State of Delaware had some safety concerns when the air cannons entered the Chunk. So, in 2003, the state required that all the cannon's pressure tanks be built according to the ASME's standards. There is also a safety fence around the Chunk giving some distance between the machines and the public. Here's a closer view of the safety setup. On the right is the fence. people are allowed. This is the line of trebuchets, catapults, etc. "I didn't see it." Well, with some machines the pumpkins shoot out so fast, the human eye can't see them. With the catapults and trebuchets it's much easier. But, the pumpkins used for The Chunk aren't there for visual entertainment. There are pumpkin requirements. The competitors can get pumpkins from the Association, or they can bring their own. Some of them have "favorite sources" like certain produce stands, specific farmers or they grow their own. Since the powerful air cannons shoot out pumpkins at 400 mph or faster, they don't want to get a "Pie in the Sky" and be disqualified for their shoot. So, they have tossed away the traditional orange pumpkin to shoot in favor of the white pumpkins. The white ones have thicker shells and are stronger. But, visually the white ones are harder to see in the sky. The lyrics are found on the official Punkin Chunkin website. But, with all due respect to Dawn Thompson who wrote the song and performs the song, I found it hard to sing-along to. It's mostly talking and there wasn't much of a melody. To me, Dawn's song is more like a folk ballad of punkin chunkin rather than an anthem. So, I sat down and decided to come up with my own Punkin Chunkin Theme Song to the tune of "Battle Hymn of The Republic" (Or "John Brown's Body") which is a tune that we all know and can sing. Which began years ago by some guys who were a little bored. Their hope is ever strong. Well, they shot, they flung, they tossed and hurled up into the sky. And the crowd it did cheer as pumpkins, one by one, did fly. But, unfortunately some of them got only pumpkin pie! As they brag about the shot they tossed that fulfilled all their dreams. 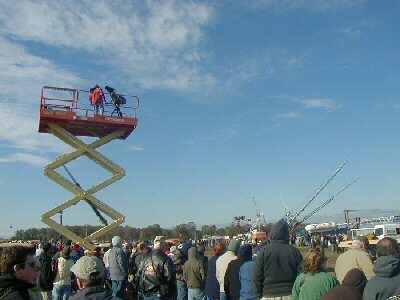 I attended the 2010 Punkin Chunkin Event on November 6, 2010, which was their 25th anniversary, in Bridgeville, Delaware. I also saw Jamie and Adam from "The Mythbusters" there too. The event is filmed and shown on Thanksgiving evening at 8:00 pm EST on either The Discover Channel or The Science Channel. Here is where the cameraman is and the hosts are. They're way above the crowd. How they survived up their with the cold wind amazed me. The recommended dress code is to wear orange. However, out of 80,000+ attendees, I think only 20 of us obeyed the rules. Ha! I wore a large bright orange hoodie, with sunglasses. Because it was cold and windy, 99% of the time, I had my hood pulled up. You might think I looked a bit like an orange unibomber. I also carried around my fluffy lamb purse. The weather was cold, windy and the area was all muddy, due to rain the previous day and early morning. 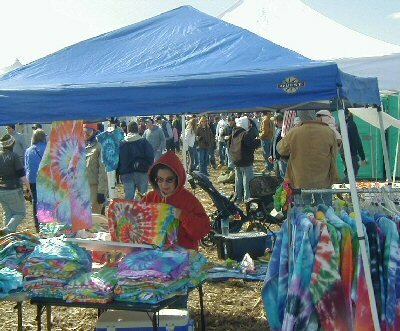 This is me shopping at one of the vendor's tents. 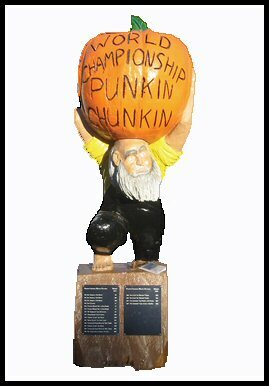 There is a lot of information regarding attending The Chunk at the official Punkin Chunkin Website. But, here are some of my observations having been there. 1. Finding The Chunk isn't easy. It's out in a big field, with no address. So allow plenty of time to find it. 2. My compliments to the parking team. They have parking down to a fine art. When you enter, they have 5 rows of cars all lined up to lead into the parking area. (I think this is to prevent a big line on the narrow rural road?) They take so many cars from each line at a time and rotate this system. To get a good spot is really easy. COME EARLY! The Chunk starts at 7:30 am and I arrived at 8:45 am and got a good parking spot fairly close to the main entrance, to the stage and only 3 rows down from all the catapults and trebuchets. I could sit in my car and watch some of them. Also, the stage festivities occur first thing. 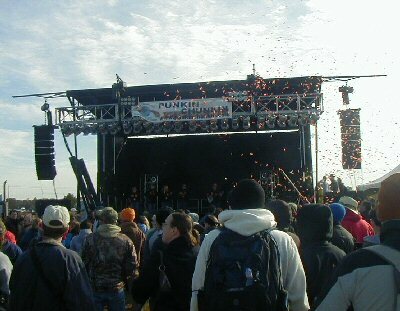 After they sing the Punkin Chunkin Anthem, they shoot t-shirts out to the crowd. So, if you're not there early, you'll miss out on all the stage fun! I liked the idea that you and your vehicle go in together. This way, you can go out to your car and warm up and then go back out into the crowds later. 3. 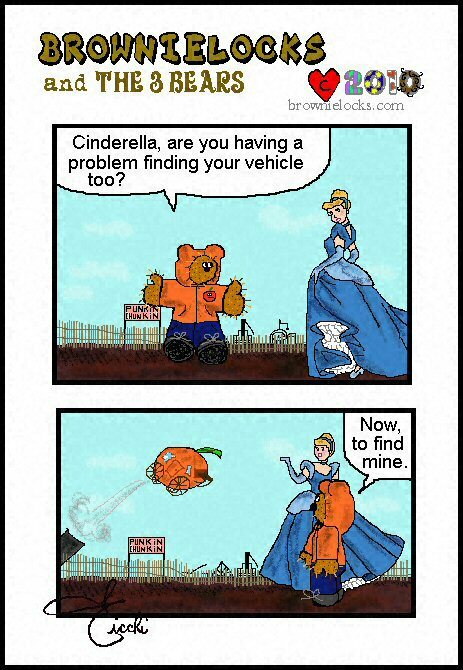 Finding your car can be a challenge. This was my first time attending, so I was a bit naive about this. I was very fortunate to park right behind a group of young students from Maryland who flew a big checkered flag with a leaf on it. I used that flag to find my car all day. Right before I left, I asked them what it meant. (I was thinking some fraternity and Adam's well....fig leaf?) But, it happened to be the Calvert County Maryland Flag. Therefore, my tip for attending is to bring something to mark your car. A big balloon to tie to it, a flag or something. 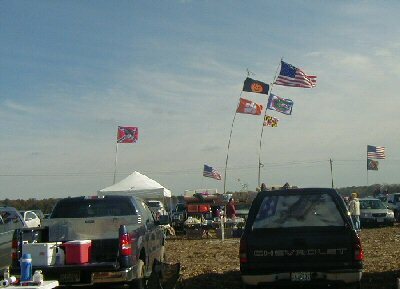 Here are some of the flags in the parking lot. 4. You can never be too warm. Dress in layers. It was freezing in the early morning when I first got there. Around 1:00 am it was much warmer. By the time 3:30 pm came around, the sun was getting lower and lower and it was getting cooler again. The open field is also very windy. It's colder at The Chunk than it is in town. 5. This was my first time. But, clearly there are some groups that have attending this event down to a fine science. I mean, they not only brought camping stuff and cooked food, but they brought couches! Yes, trucks loaded with couches. 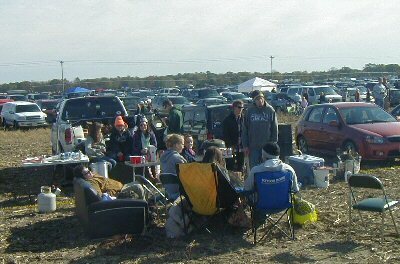 Here's a group that had this all organized with a couch, chairs, deep frying a turkey, etc. However, the website suggests you bring some chairs if you prefer to sit up close by the safety fence and watch the machines. Well, that might be OK for resting, but when the big crowd comes, you don't see any better than anyone else can. So, my suggestion is (and I'd bring one if I ever returned) is to bring a small 3 or 4 rung step stool. This way you do have something to sit on; but, when it comes time to see the action, you'll be a few feet higher than the rest of the crowds. 6. I also have to give compliments to the Committee in charge of Port-a-Potties. I've never seen so many at an event. They had lots and lots and lots of potties. What amazed me is that there were some that everyone lined up to and others that were literally not even being used. Duh? Since I arrived so early, I scouted out the lay of the land, and I found potties in areas way in the back area behind some food vendors that no one was using. So, that's what I used when I needed to go and I NEVER waited ever. Therefore my tip is don't just line up at the first group of port-a-potties you see. They are all over. 7. People are friendly. And, the crowd was very well-behaved. I also have to compliment all the young couples with children. They had a real system for taking their children to such a big, outdoor event. Never once, all day, did I hear a crying baby, screaming kids, whining, etc. Lots of people taking photos and lots will take your photo if you ask them. But, if you want to have a wee bit of fame, stand by the security fences because the main MC comes around and interviews those people. Those are my tips. I'm sure if you've ever attended, you have your tips too. If you'd like to send them to me to add to this page, feel free. My email is on my main homepage at the bottom. "Punkin Chunkin 2010" Television Shown broadcast 11-26-2010 on The Discovery Channel. "Punkin Chunkin 2011" Television Show broadcast 11-24-2011 on The Discovery Channel. And, from myself, who attended The Chunk on November 6, 2010.